Can These Flats Made From Boxes Help Solve The UK's Housing Crisis? 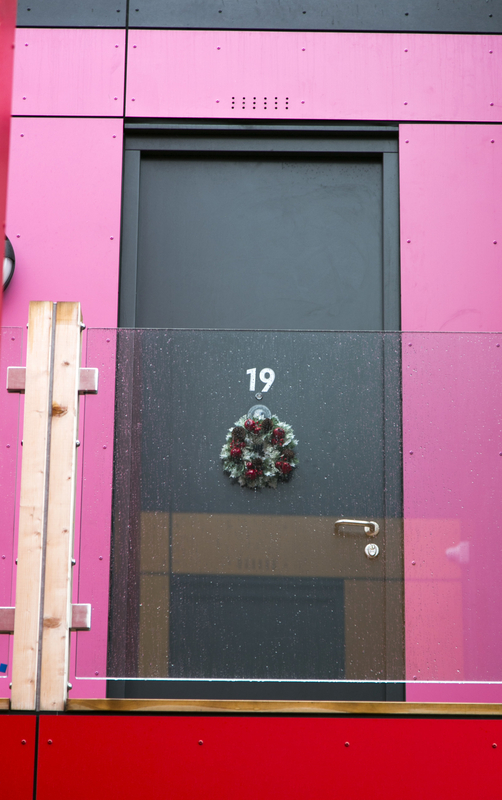 Can Modular Housing Help Solve The UK's Housing Crisis? 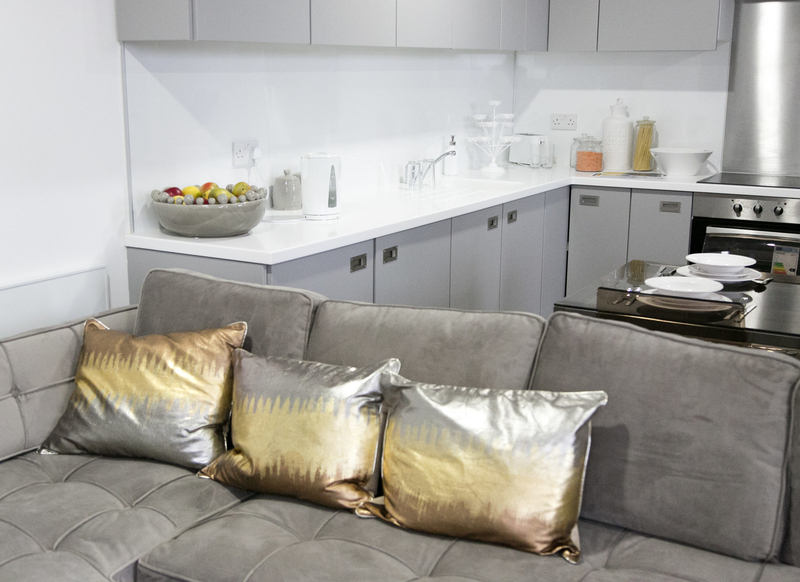 Factory-built flats are being touted as a way to relieve pressure on growing homelessness across the country, but are they really part of the solution? BuzzFeed News went to visit one scheme in south London to find out. Would you live in a box? And not just any box, but a couple of state-of-the-art, factory-made boxes about the same size as shipping containers, which can be combined to make a two-bed flat, complete with all mod cons, that most young families searching for a home would love to live in. This is so-called modular housing and it’s one of the hottest trends in housing today, with some predicting it will play a big role in housing people in future. But can it really make a difference to the UK's growing housing crisis, which has seen the number of homeless children soar to 120,000? How many of us will really be living in flats and houses made in factories? 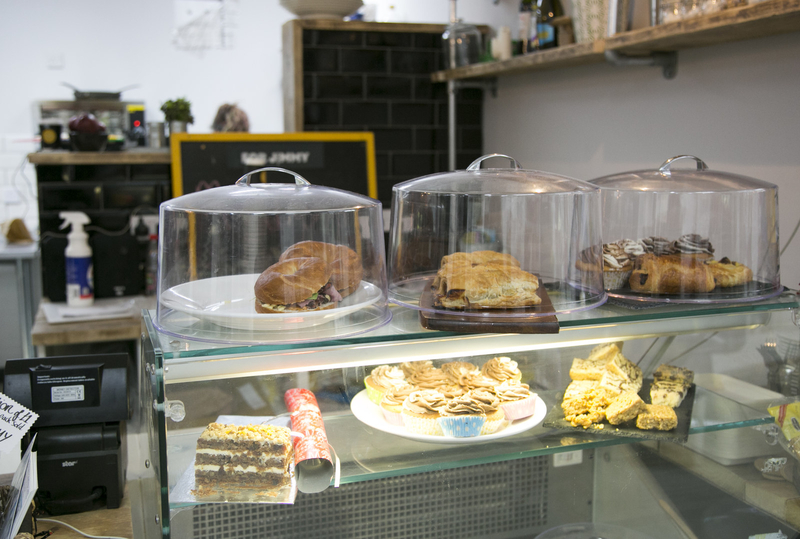 On Lewisham High Street in south London – a traditional, slightly ragged parade of shops and flats – a handful of residents are a bit closer to finding out. Some 23 families are now living there in a new modular housing development, on the site of a now-demolished leisure centre. 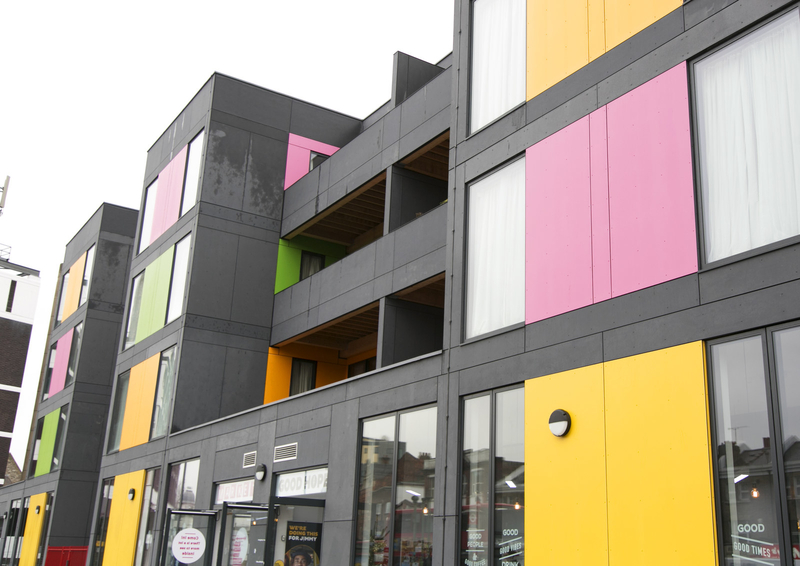 The development, called Place/Ladywell, stands out as a colourful beacon on a drab street, with its bright yellow, green, red, and pink exterior making a bold statement about what this kind of scheme can achieve. 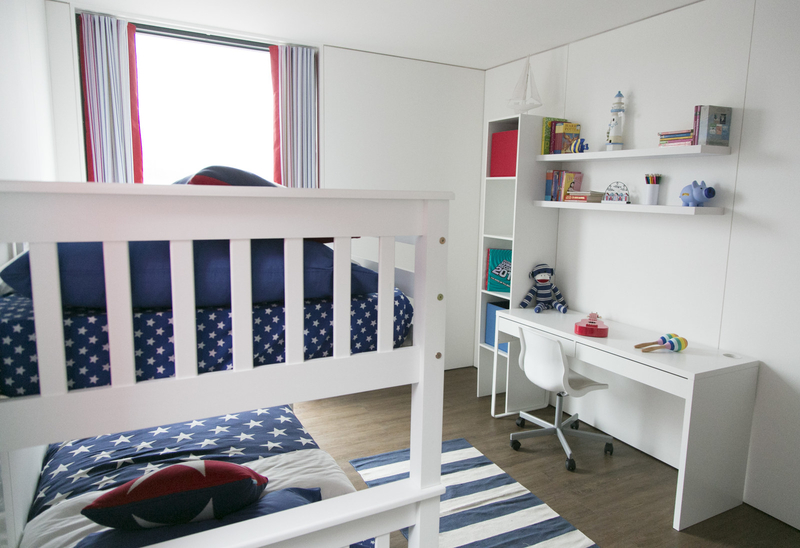 All the families were previously homeless and living in temporary accommodation provided by Lewisham council, which commissioned the building from architects at Rogers Stirk Harbour + Partners (RSHP) at a cost of £5 million. The same firm designed the Y:Cube development of modular social housing for the YMCA, which is now in three sites across south London. The four-storey Place/Ladywell structure holds 24 flats, as well as eight shops and offices on the ground floor. 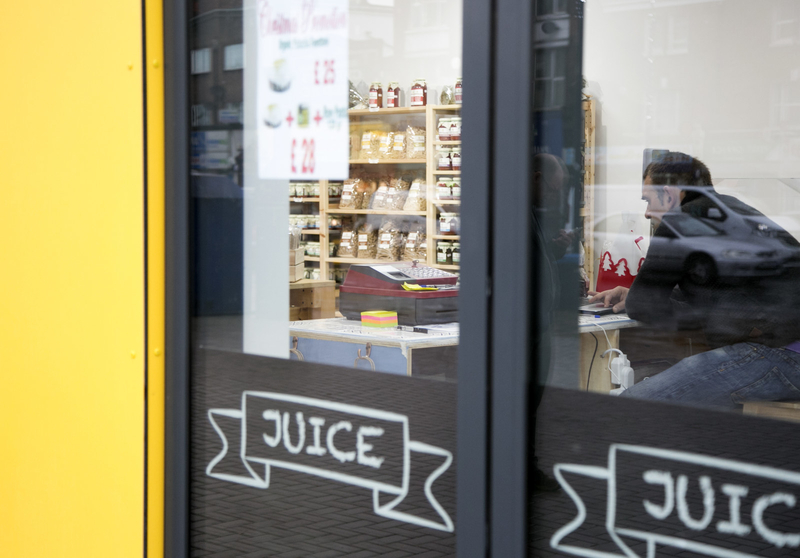 There’s a deli, a cafe, some independent fashion shops, and a shared workspace that charges £20 for a week-long trial. The need is clear. Across London, work began to build 24,000 new houses last year – the highest level since the 1990s – but analysts have warned that the city needs at least 50,000 a year. Homelessness is at record levels. The result is that in Lewisham alone there are around 9,000 families on the housing register and 1,700 in temporary accommodation – a 89% increase since 2010. To buy a two-bed flat here you’d need to earn at least £68,000, but the average local salary is £37,536. And Place/Ladywell is only a temporary solution. It will remain until at least 2020 but the plan is for the land to be sold to developers to build a permanent housing development, with a mixture of affordable and not-so-affordable homes. Although, this current development can be deconstructed and placed somewhere else up to five times. The flats are expected to last 60 years with their current design intact, but with modification and refurbishment they could be around much longer. RSHP is working on using this building model at permanent sites, including terraced housing. And it’s safe to say the flats are not what the residents are used to. Mouellet Regis, 44, originally from Congo via France, lives on the third floor with his two daughters, aged 16 and 18. Like all the scheme’s residents, Regis was placed here by Lewisham council, after living in temporary accommodation nearby. And like many of them he is in the process of applying for permanent housing for when this structure is taken down. Ceyda, one of the new residents, says that her two children, aged 9 and 14, were both given asthma inhalers because of the damp in her old house in nearby Brockley. “My eldest, when she was doing PE, after five or 10 minutes she was breathless. And my youngest had eczema on the back of her feet,” she says. Christelle says her children were so excited by the prospect of having a spacious flat – with a balcony – that they couldn’t sleep. “When we came in, my second one couldn’t sleep, he was so excited. The balcony, it’s huge. He woke up at five in the morning. I was like, ‘Seriously?’ He said, ‘Mummy, I need to check everything. The flats are deceptively big. These homes are 10% larger than the Greater London Authority’s minimum space standards for new properties, which say that a two-bed flat must be at least 61 square metres. They are also warm and noticeably quiet – the constant din of traffic from the street below hardly registers. 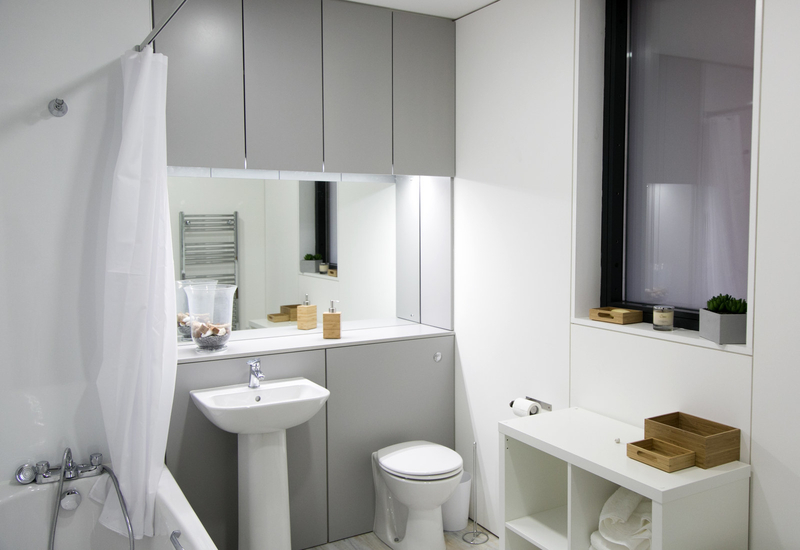 Each flat has spacious balcony, a modern-looking bathroom and open-plan living room/kitchen, plus storage space. Some residents didn’t realise that the thin radiators were actually radiators until they turned them on to see what would happen. It takes just one month to complete each of the flats, which are mostly made from timber, and a full storey of them was lifted into place by crane in one week. The whole building process lasted nine months. They are so well insulated, the firm says, that residents will spend only £30 a month on heating and electricity. Ivan Harbour, a partner at RSHP who led the project, tells BuzzFeed News that the model the company has devised means it can adapt the flats to any design. It can work just as well with the private sector as the public sector, he says, but now is the time for councils to step forward. “You wouldn’t imagine you could do this with a prefab, but you can," Harbour says. "The big advantage is that it maximises computer-controlled cutting and you can get things just right. One of the issues has been that offsite construction produces very standardised products, whereas this is flexible – you can scale it to any size or width. 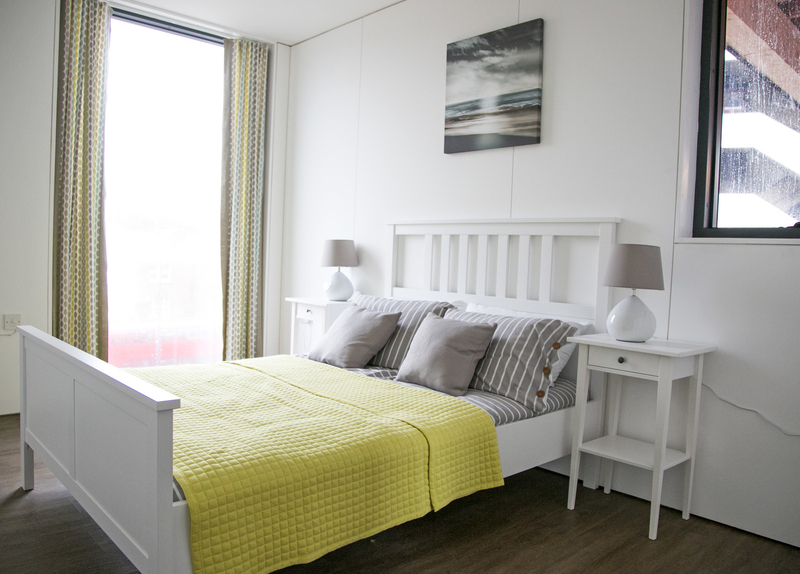 Harbour is convinced that modular housing – with local government backing – will be a big part of the solution to the chronic housing shortage. “This is playing a significant part in solving the crisis,” he says. “The private sector have not solved this – it’s not in their interest. If you look at residential property they have remained pretty consistent [in housing starts]. Harbour points out that the flats were about 20% cheaper to build than traditional bricks-and-mortar structures – the whole project came in at almost £5 million – and he says the structure will pay for itself within 10 years. Everything, including all the fittings and fixtures, is done in the factory. 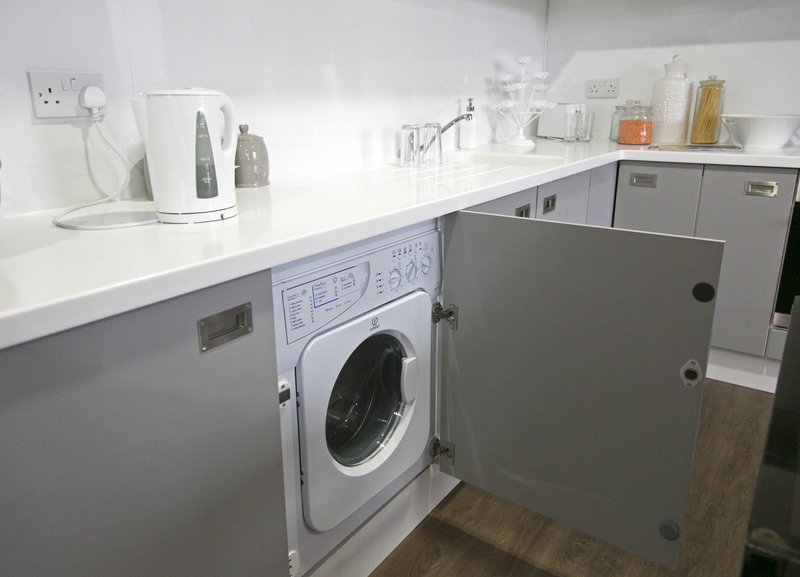 The units even come with washing machines installed. The spacious balconies and the stairs and lifts are put in afterwards. These flats have been valued by an estate agent – Harbour says he can’t remember what the suggested price came to, but adds that the agent was confident he “could sell them all tomorrow“ if asked. Not everyone is a convert. Some analysts have questioned why temporary schemes such as this were chosen over longer-lasting housing. 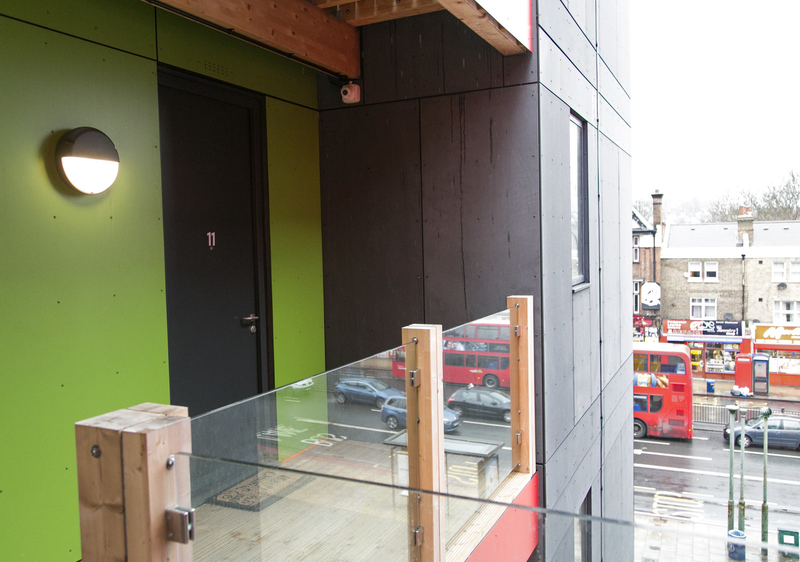 "Modular construction could definitely play a part in solving the housing crisis. 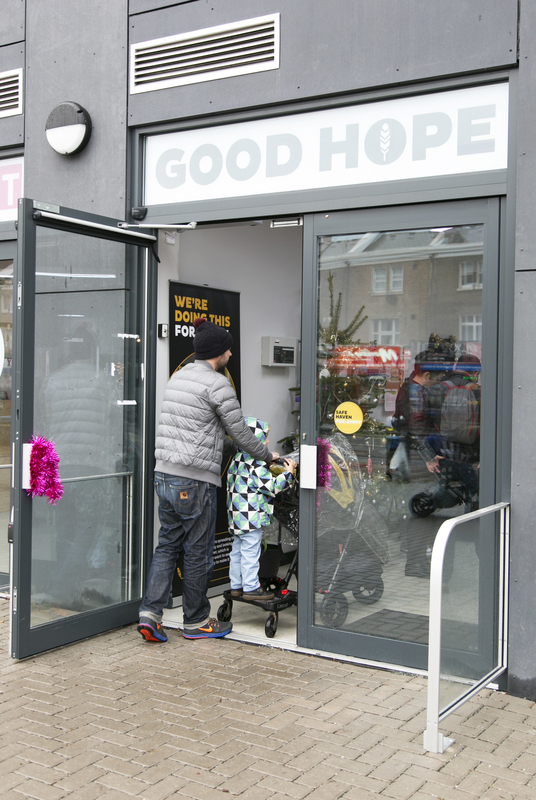 This scheme however, which provides temporary housing to those in desperate need, is obviously commendable," says Paul Wellman, senior researcher on the London residential market for Estates Gazette. "However, the scheme funded by Lewisham council taxpayers misses the point and is essentially just state-funded land banking. If Lewisham really wanted to provide affordable housing on this site, they could make it permanent. The reality is in just four to five years' time these modular homes will be torn down with the site more than likely sold to the highest bidder, who in turn will build private homes, out of reach for the average Lewisham resident." Modular housing is already being used by the private sector: In July BuzzFeed News saw Pocket Living's latest project in Lambeth being completed, its 16th such scheme in the capital. Those flats are available from £267,000 and are available only to people living or working in the borough and earning no more than £40,000, or £90,000 as a couple. The housing crisis may only be solved by a complex mix of solutions – with public sector partners providing housing alongside, or in partnership with, the speculative private sector. The traditional house-building sector alone will struggle to solve the problem on its own, as many campaigners have argued. But perhaps part of the solution is rethinking what a decent house looks like.